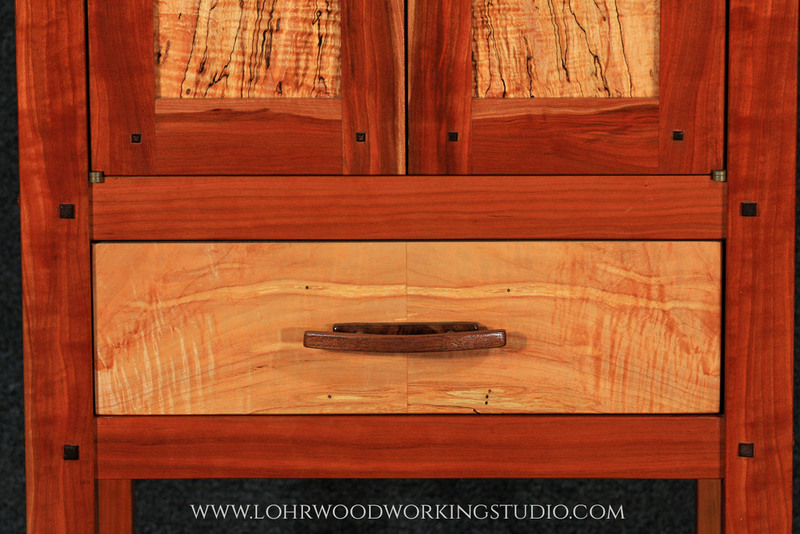 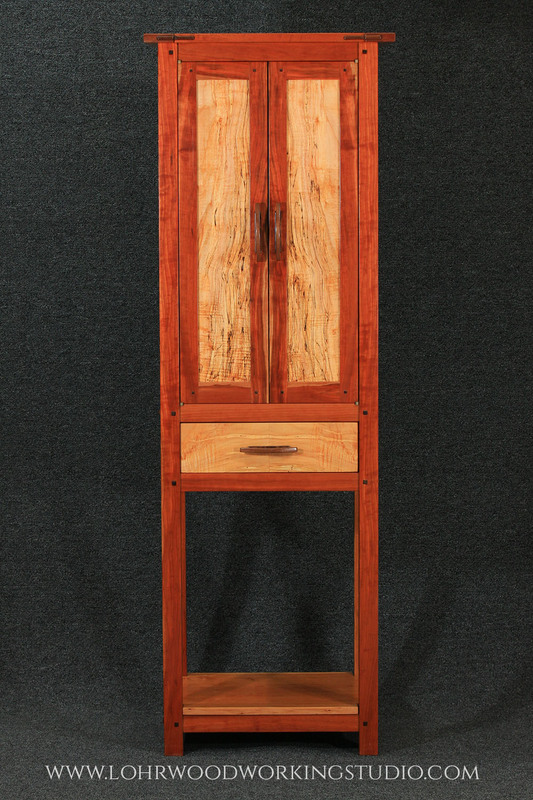 This tall cabinet perfect for storing your favorite wines or spirits. 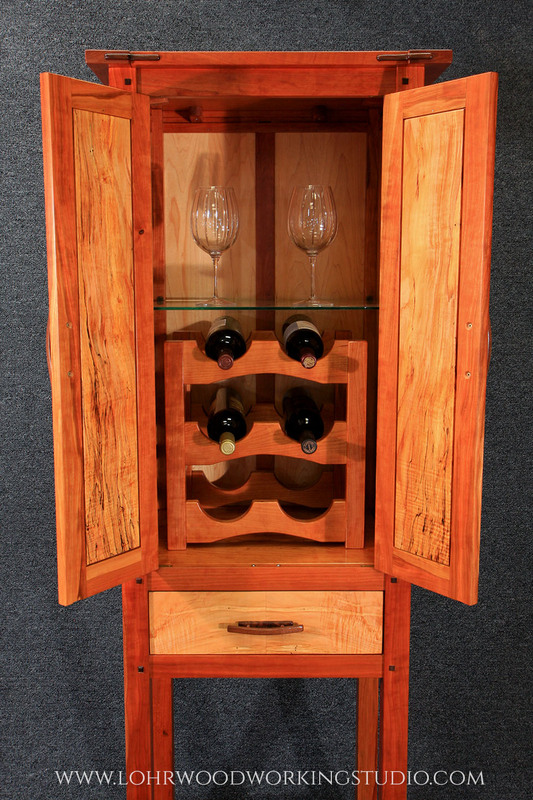 The interior holds a wine rack and glass shelf. 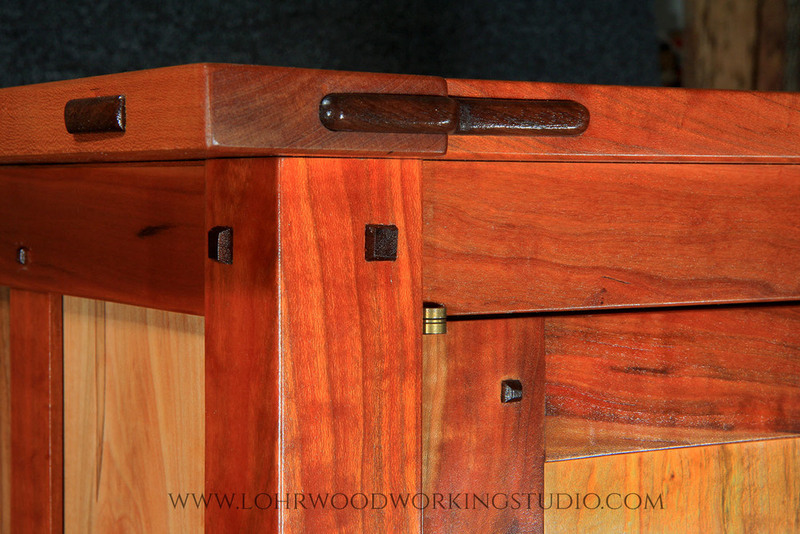 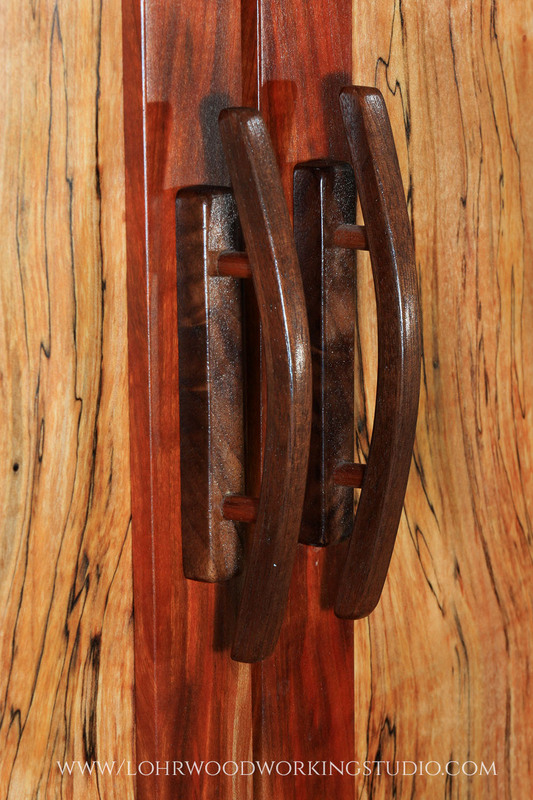 The deep red cherry contrasts with a beautiful book-match of curly, spalted maple.